From the creator of PC virtualization comes the most reliable, secure way to run multiple operating systems at the same time. Winner of more than 50 industry awards, VMware Workstation transforms the way technical professionals develop, test, demo, and deploy software. VMware Workstation is an integral component of any serious technical professional’s toolkit. From the creator of PC virtualization comes the most reliable, secure way to run multiple operating systems at the same time. Winner of more than 50 industry awards, VMware Workstation transforms the way technical professionals develop, test, demo, and deploy software. 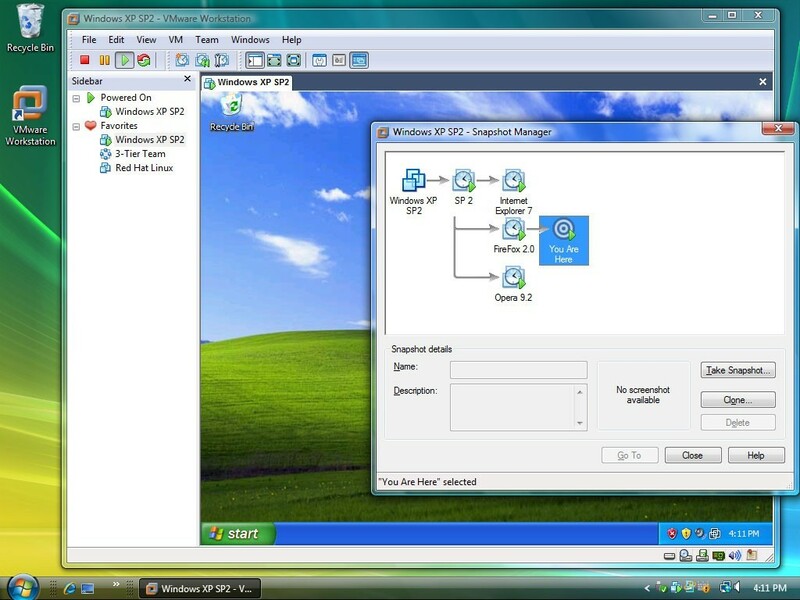 VMware Workstation is an integral component of any serious technical professional’s toolkit. * Facilitate fast, efficient testing of applications across a large number of use cases and configurations. * Rich integration with Visual Studio, Eclipse, and the SpringSource Tool Suite make it incredibly easy to debug applications on multiple platforms. * Create virtual machines for use in all your classes to make it easy to roll back to a trusted state when students overwrite needed files.